Bitcoin, litecoin, and ethereum have been on a tear for the past few days, but is it time for traders to book profits on these rallies ahead of the holidays? Bitcoin jumped right back above its ascending trend line after faking out to the bottom last week, which means that bulls are putting up a really strong fight. But hold up, is that a bearish divergence I’m seeing? Price formed higher highs so far this week while stochastic is showing lower highs, signaling that bearish pressure is brewing. This could mean that another dip is underway, probably as investors book some of their profits to reduce risk over the Thanksgiving holidays. If so, a pullback to the nearby Fib levels or the rising trend line could be in the works. Ethereum bulls appear to be on Red Bull as price busted through the top of a short-term rising channel to start a steeper climb. 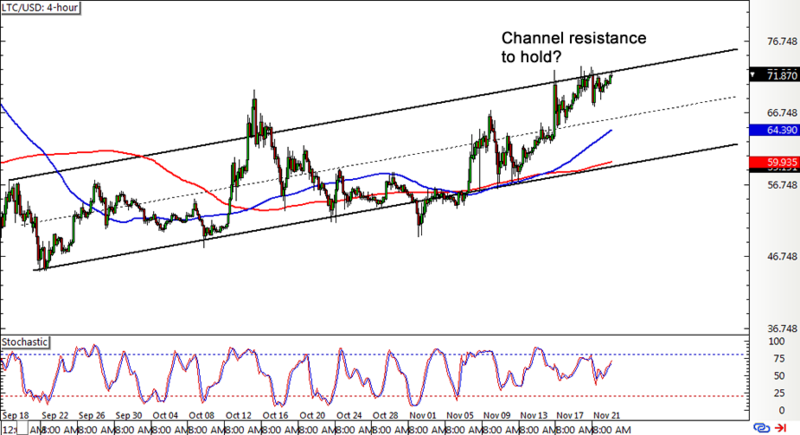 Price is currently testing a longer-term channel resistance and another break higher could send this baby skyrocketing! The 100 SMA has crossed above the longer-term 200 SMA on the 4-hour time frame and is increasing its lead to show strengthening bullish momentum. 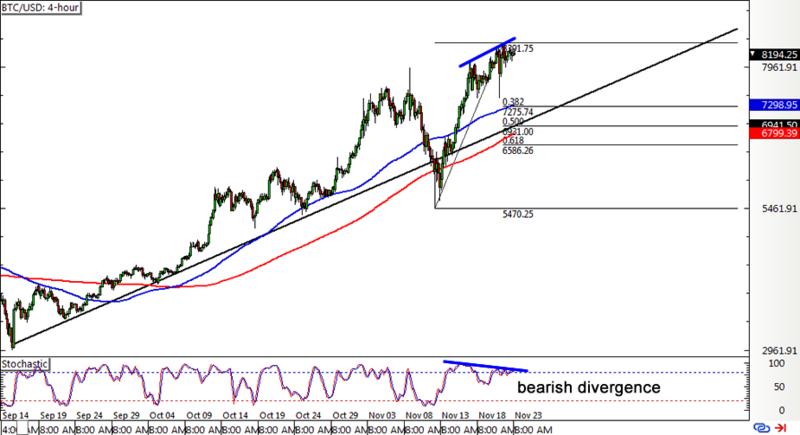 However, stochastic is lingering close to overbought levels to hint that buyers might run out of energy sooner or later. 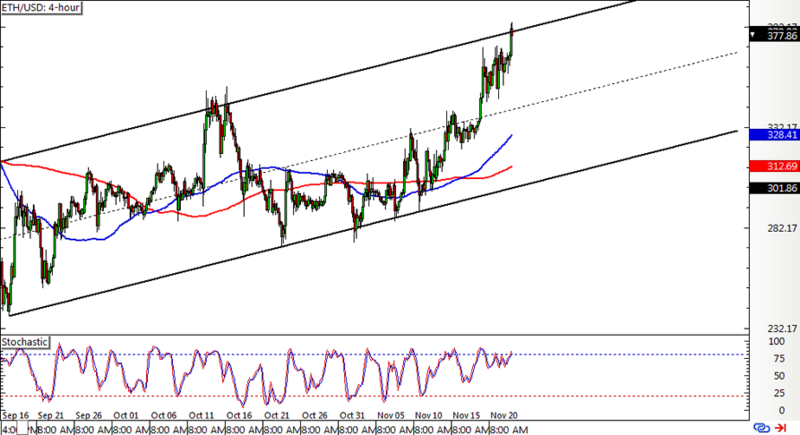 Litecoin is also hitting the ceiling on its uptrend as price is hovering at the top of its ascending channel resistance on the 4-hour chart. Just like bitcoin, a bit of bearish divergence can be seen, so if you’re gutsy enough to go for a quick countertrend play, this might be your chance. If the resistance holds, price could dip to the channel support near the 200 SMA dynamic inflection point or until the mid-channel area of interest. I gotta warn you, though, that the 100 SMA is above the 200 SMA on this time frame so bulls still have the upper hand. Dollar weakness has also been in play for the past couple of days and cryptocurrencies have been able to take advantage of this.